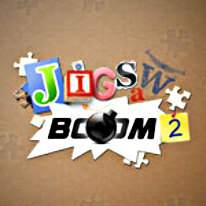 There's more jigsaw puzzle fun to be had in Jigsaw Boom 2! Select from a curation of vibrant, high resolution pictures to place together from pieces broken down according to the complexity (you can change the number of pieces from 12 to 850!) you've chosen. Besides selecting your own level of difficulty, you can find a wide range of scenes to suit your mood and ambience you want to delve into. With simple drag and dropping of the pieces, you'll find the game experience easy - even if the level of complexity you've selected is anything but! Puzzle pieces can be rotated and put in special pocket. Small pieces are better to look at using special magnifying glass. -Custom styles of pieces with rotation!